After we woke up and had a small breakfast we went to La Rolandiere. We had a look at the great library and climbed to the top of the tower. From the tower you can see how big La ZAD is. We discussed the growing division between the “legalists” and those who reject any kind of negotiation with the state. It’s a difficult discussion. From an ideological point of view the choice looks easy: never negotiate with the state. But there are other views: from a tactical point of view it can be important to keep the infrastructure, even if you have to negotiate with the state for that. Sometimes that can be an option. 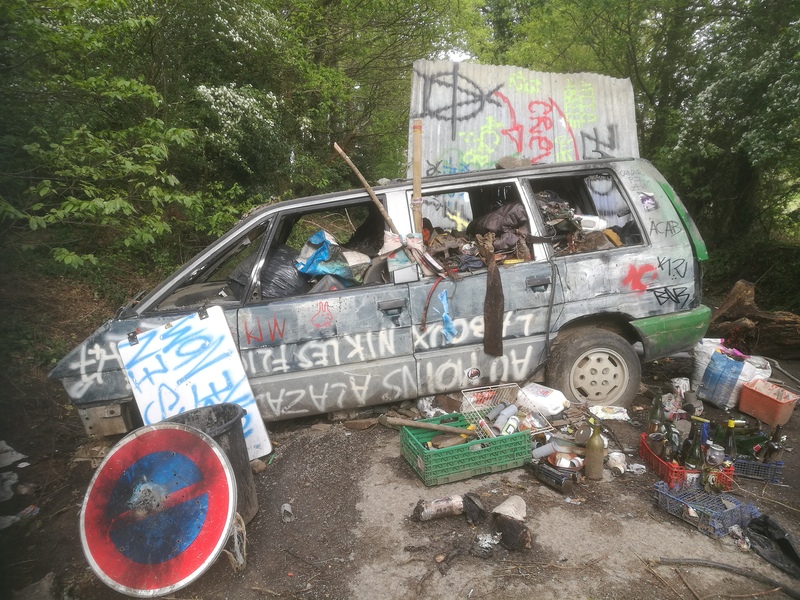 It’s difficult to judge about the ongoing discussion at La Zad about this kind of issues. We will try to find interview partners to find out more details. Today was another day of small actions in the cop zone again. People restoring vegetable gardens that were destroyed by cops during the evictions earlier this month. We didn’t see a lot of cops today. The helicopter was in the air again. Filming the barricades and La Gree, La Wardine and other parts of La ZAD. In the evening we left la ZAD again. We drove out without any police controls and arrived in Paris in the night hours. On Mayday we will report from the revolutionary Mayday demo which will start at 02:30pm from La Bastille. Stay tuned.